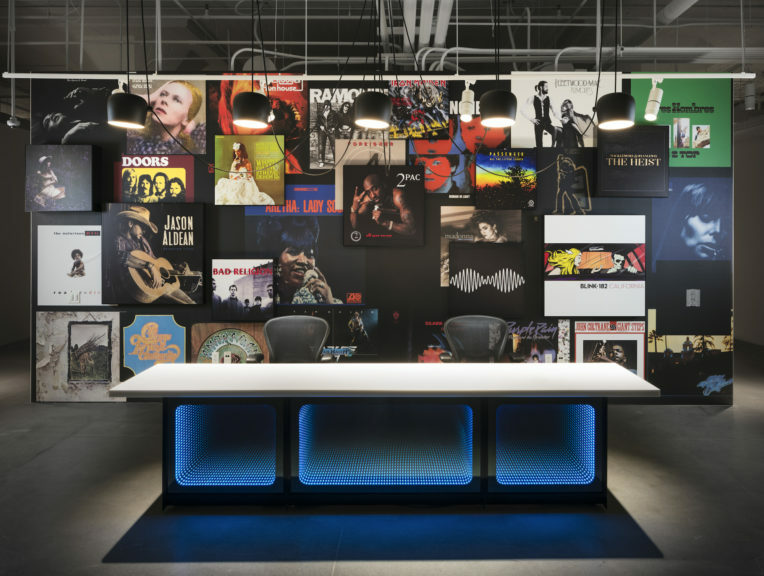 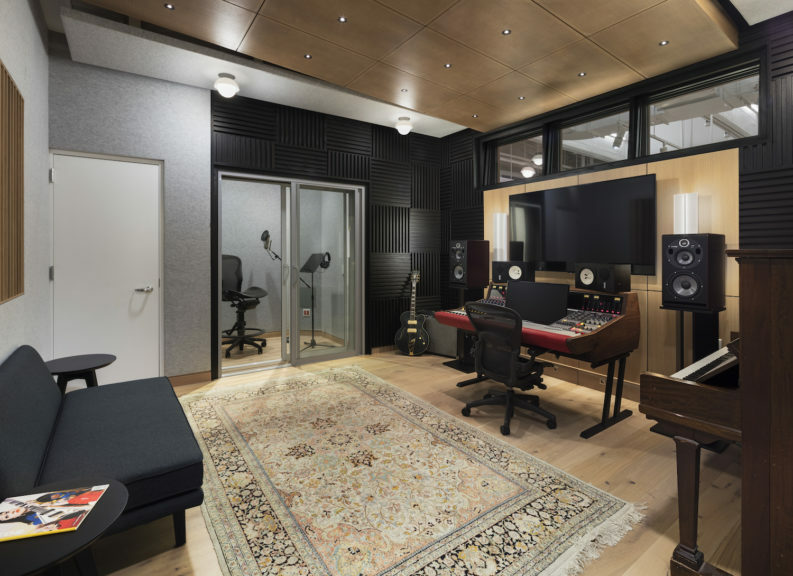 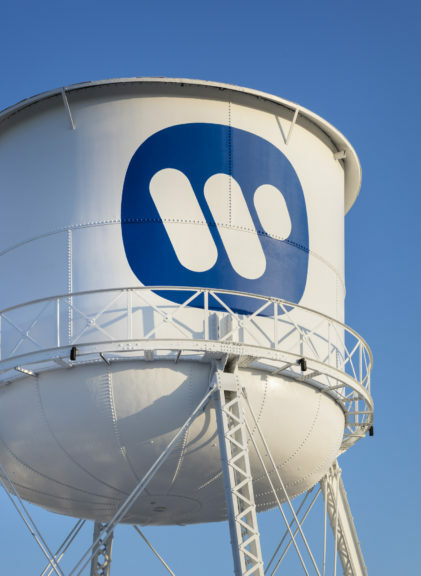 Warner Music Group’s new Los Angeles office is open for business, marking the first time that the LA-based teams of Warner/Chappell, Warner Bros. Records, Atlantic, Elektra, Rhino, WEA, and ADA are all under one roof. 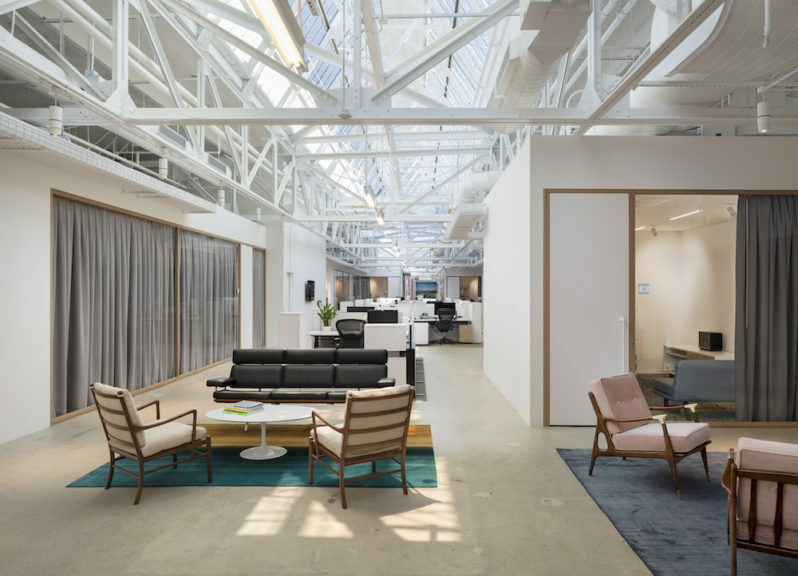 Designed by architecture firm Rockwell Group, the building is located in Downtown LA’s art district and features recording studios, artist lounges, and custom-designed offices. 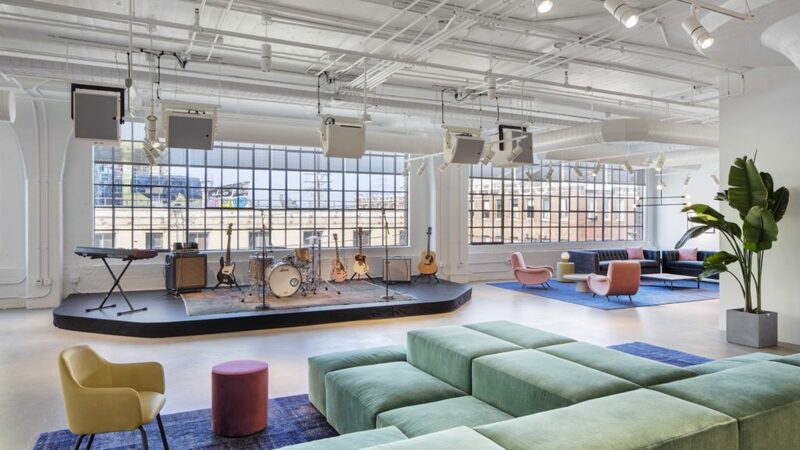 The building features custom murals designed by local artists with more artwork to be revealed in the coming weeks. 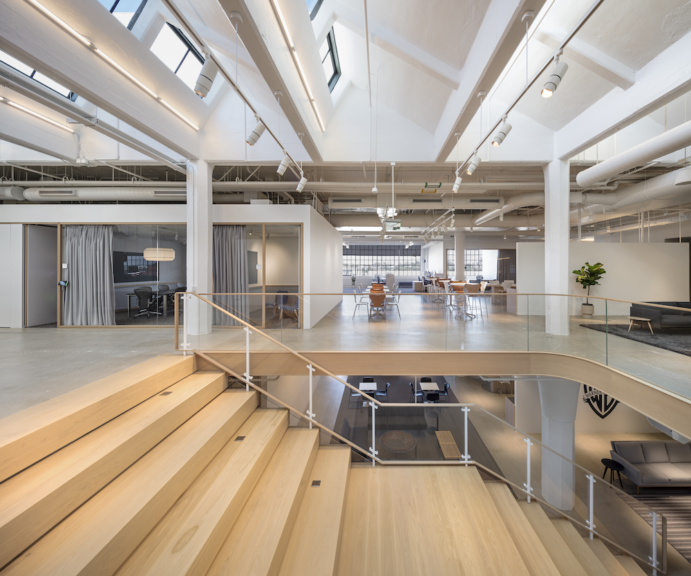 The first floor serves as a central gathering hub with co-working areas and a live performance space. 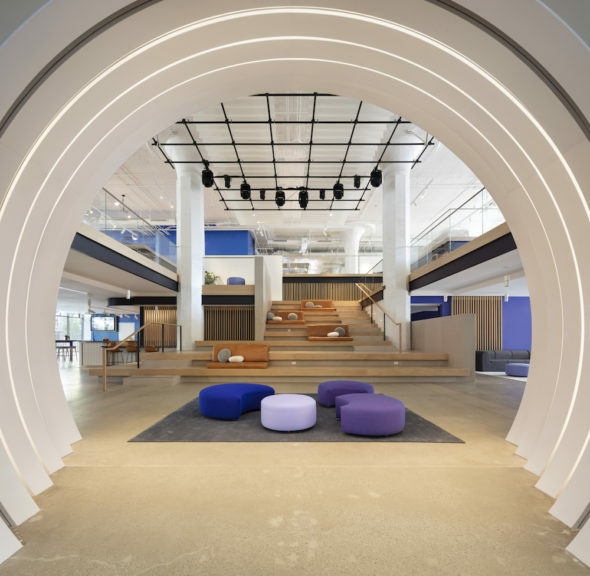 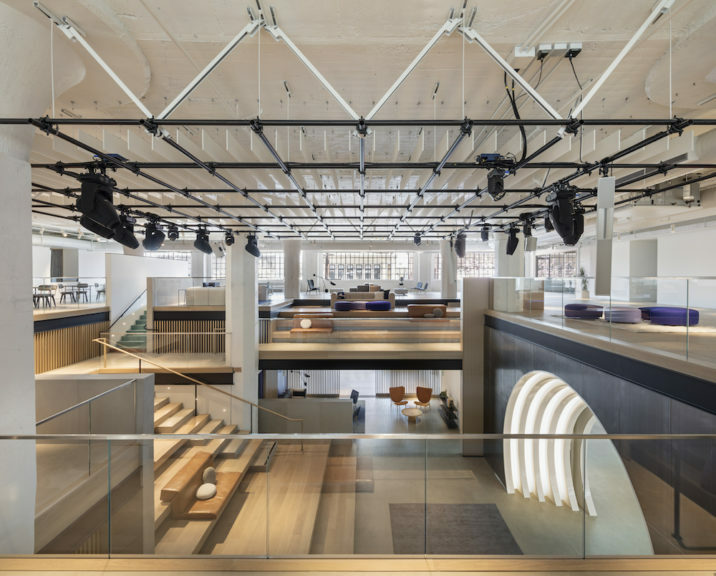 Architectural firm Rockefeller Kempel Architects led the renovation and historical restoration of the building, which was built in 1912 as the Ford Factory’s Model T factory and showroom.